Angela Taylor is currently the Owner and President of NetWorks Sports Consulting. A 17-year veteran of the sports industry, Taylor founded NetWorks Sports Consulting, LLC in 2009. The firm is a privately owned for-profit marketing & consulting firm that focuses its efforts primarily in the sports & entertainment industries and specializes in strategic planning, brand development, program development, and event management. NetWorks Sports Consulting is looking to Change the Game in how business is done in the sports industry and is committed to only working with those individuals and/or companies interested in the double bottom line, therefore a charitable aspect is associated with every NetWorks project. Taylor is the co-founder of the Burrell-Taylor Leadership Institute for Women of Color. She currently is a co-host for Game Changers Live, a radio show that focuses on bringing a new perspective on current events in the sports world and is an Adjunct Professor in the University of San Francisco Graduate Sports Management Program. Prior to starting NetWorks Sports Consulting, Taylor served two years as the Vice-President and General Manager of the Washington Mystics for Monumental Sports & Entertainment. She was named Vice-President and General Manager with the Washington Mystics in October 2008. In her role with the Mystics, she was responsible for all player personnel decisions and oversaw all aspects of basketball operations for the organization. During her career with the Mystics, Taylor led the team to the WNBA Playoffs during both seasons, which was the first time the organization had appeared in the playoffs during consecutive seasons. Taylor helped guide a team that was 10-24 prior to her arrival to a 16-18 record in her first year, which garnered a 4th place finish in the Eastern Conference and a playoff berth for the first time in several years. In her second season with the organization, the Mystics finished 22-12 (the best record in franchise history as well as the first 20 win season in franchise history) and an Eastern Conference Regular Season Championship. 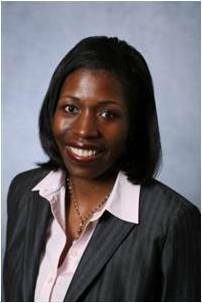 Prior to taking over the basketball operations department for the Mystics, Angela was named Vice-President of Business Operations with the Minnesota Lynx in July 2006. In this newly created position, Taylor oversaw all business operations for the Lynx, including ticket sales, marketing, fan relations, public relations, community relations, interactive services, and corporate sponsorships. She was responsible for creating initiatives to build community awareness, marketing the Lynx brand in the Twin Cities area, and enhancing ticket sales and strategic alliances. During her tenure with the Lynx, the organization led the league in Group Sales in 2007 and created several successful initiatives and programs such as The Lynx Party Zone, Lynx Ballerz Tour Live, and Slam Bash. Prior to joining the Minnesota Lynx & Timberwolves, Taylor spent more than 9 years (10 seasons) with the WNBA League Office based in New York City, most recently as Senior Director, Player Personnel. While at the League Office, she was primarily responsible for all player-related matters and issues including collegiate & international player evaluation, player marketing, and player programs. Taylor joined the staff at the WNBA League office in June 1997 as Coordinator, Player Personnel was promoted to Manager in October 1999, Senior Manager in 2002, Director in 2004, and Senior Director in 2005. Prior to joining the WNBA League Office staff, Taylor was an assistant coach for the women’s basketball teams at Stanford University, Texas A&M University, and the University of Arizona. A four-year varsity letter winner at Stanford University, Taylor helped guide the Stanford women’s basketball team to two NCAA national championships (1990 & 1992), three NCAA Final Fours (1990-92), and one Sweet Sixteen appearance (1993). Additionally, as an assistant coach at Stanford, Taylor’s Stanford teams went to back-to-back Final Fours in 1996 and 1997. While an assistant coach at Stanford, she had the opportunity to work with 1996 Olympic Gold Medal winning head coach Tara VanDerveer while coaching All-Americans Kate Starbird and Kristen Folkl. In 2006, Taylor co-founded The CHANCE Foundation, an organization whose mission is to Create Hope and Access for our Nation’s Children through Education. The CHANCE Foundation helps provide at-risk youth with the support, guidance, tools and resources needed to navigate the college application process. Taylor’s community and philanthropic activities also include serving on the board of Ronnie Lott’s All-Stars Helping Kids Foundation, NBC Camps, and the Stanford Buck/Cardinal Board as well as the Board of Advisors at Stanford’s Clayman Institute for Research for Gender Research. She has also served on the board of the Stanford Athletic Department, Foundation IX, and the YWCA of Minneapolis. A native of Mountain Home, Idaho, Taylor graduated from Stanford University in 1993 with a Bachelor of Arts degree in Economics and earned her MBA (with an emphasis on Marketing and Management) at New York University’s Stern School of Business in May 2002. Taylor currently resides in Northern California.